Sell more houses to people like me. I mostly sit home, watch TV, and drink beer. There is no charge for the tee time system if you use the phone. To use the computer it is eight dollars per month. I will admit using the phone is very frustrating Vs the computerized method. I use the phone all the time. Have it all written out on a card and zip right through it. I prefer the computer, but nice to have the backup of a phone. Good morning Boomer: Congratulations on your commonsense piece above. You have a very rare talent ... when you post, people listen. I wish I had a good workable answer, but I don't. If The Villages formed brain storming sessions to solve concerns owners have, I would participate. 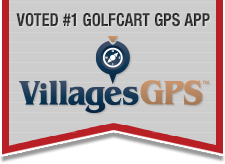 I am saying, The Villages developed a solution for the golfing community implementing the point system. I seriously doubt that anyone suggested that our golfing community form walking groups to fill their need for exercise during the busy season. I do know many golfers who play off campus during the busy season. Maybe that is a temporary solution I should seek for exercise classes. There is a bill of goods that is attached to being an owner here and that includes more than golf. In any event, I applaud the OP for trying to think of a way to entice more volunteers at rec centers, which are sorely needed. The volunteers here are not really "supposed" to make money on their activities, or expected to profit financially and I find that very good. This is sometimes umm "circumvented" by instructors selling supplies and grateful class members often will gift them at Christmas. ( A paltry repayment for their dedication.) I have had instructors here in Colored Pencil and in Ceramics that were in their eighties and made the classes so welcoming and so much fun and I learned so much from them. There just aren't words to thank them for their great dedication. The Lifelong Learning College was a great place to learn at a very low dollar amount, but that was ruined by some lawyer trying to make money and Pfft it was gone. Even the best things on earth are sometimes ruined by greed. But MANY good things are still going strong here because of the selflessness and dedication of many wonderful skilled people who volunteer to teach us and head up our groups. Last edited by graciegirl; 01-10-2019 at 12:27 PM. You are very welcome, Jazuela. I remember looking for info when I found TOTV in 2007. It was a brand new, tiny forum then. TV is one of a kind. There is no other retirement community like it — and all that entails. If you have never been here before, you will not believe how big it is and getting bigger every day. TV is pretty and sunny and inviting. There are many good things about living in TV. But the growth is on steroids. That growth comes with an overall effect. Villagers’ reactions to that effect will vary. Take your time. Maybe rent first. I knew when we bought that we could sell easily if we wanted to so it was not like taking a huge leap for me. We've been a few times now, including a lifestyle visit this past September. We go right before peak, when some of the snowbirds are starting to trickle in but not at full force. We haven't yet stayed longer than 6 nights, but we just wanted to get an overall "feel" for the place. I was impressed with Spanish Springs when we first came, because it was already established. I really liked the Sumter town square and surrounding environment. South of (the southern version of) 466 hadn't been developed yet when we stayed somewhere near St. Charles and Bailey a few years ago. I knew (factually) that it wasn't perfect. I knew that the whole thing looked like a facade, a very bizarre reconstruction of a fantasy world that doesn't actually exist. Totally unnatural. But as a facade, it was well-constructed and attractive from a distance. Drive-by pretty, in other words. But that doesn't help at all, if you're actually living there, and still connected to the outside world. I won't be in vacation mode when we move, because I'll still have to work for a living. Hubby might be retired, but I won't be. If there are risks in The Villages that we just don't typically encounter here in New England, I need to know what those risks are, how high they are compared to the risks here, whether insurance a) covers it and b) actually pays out if you have to file a claim, and how much it's going to cost to accept the risk. I need to know what -I- will be doing while hubby is playing golf, on days when I'm not working. No point in buying into what is (for us) an expensive retirement community, if I'll just be sitting home most of the day. We're paying for amenities, I expect to be able to use them without spending half of my time waiting for "my turn." When someone pays me to work for them, I'm expected to perform tasks for almost the entire time I'm getting paid. I am not getting paid to tell people to wait. I expect the same from whoever I'm paying to provide amenities to me, within reason. A 45-minute wait for a 1-hour class is not reasonable. If this kind of wait is only for fitness instruction, I don't care. I don't need an instructor to teach me how to get fit, and wouldn't likely attend those types of classes anyway. But things like pottery, painting, woodworking, hikes and day-walks, maybe make-up application techniques, literature classes, philosophy, etc. etc...those are things that would interest me. And sure if I want to join the gym, I wouldn't tolerate having to wait an hour to use the free weights or hop on a treadmill. I go there to move, not to stand still. I can stand still at home. Being year round residents, we have adapted to the crowding from the beginning of January to the end of March. We avoid a lot of activities we might usually be involved in the rest of the year, we rarely go out to restaurants or country clubs here in TV and always place a golf reservation request with a foursome even if it means we play less often than we do the rest of the year. We rarely go to the squares for entertainment, they are just too crowded (even for the groups that aren't very good) and since many of the people here during the winter are in vacation mode, there are just too many people who have imbibed too much in the squares in general for our taste. We try to take care of most of our doctor visits etc during the off season as well. If we do want something from a specific restaurant or country club inside the bubble, we call the order in and get it to go. We do get together in neighbors homes for dinner and to play cards etc more often since most in our neighborhood are also year round residents. You just learn to adapt until it is less crowded again in the spring instead of fighting the crowds on a daily basis. Nobody has time for that ! As long as you master the tee schedule, tee times are not a problem. Each time I read your posts I am saddened that your posts are so negative about moving here. If you do I Hope that your life will improve with making new friends, joining clubs, and just enjoying life. The model you suggested was in place for a number of years through the Life Long Learning College (now defunct) and the current Enrichment Academy. The classes/clubs at the rec centers work differently.